Chicago is home to 77 unique neighborhoods across the city, and it seems like each has its own summer festival. When the warmer months roll around, locals starting filling up their calendar with a new neighborhood fest every weekend. From burgers to beer fests, Chinatown to Edgewater, live music, art vendors and more, here are some upcoming neighborhood festivals you won’t want to miss. Memorial Day weekend is Chicago’s unofficial start to summer — and festival season. Kick it off in the heart of Lakeview at the 35th annual Belmont Sheffield Music Festival. Two stages of live music, plenty of food and libations, artists’ booths, entertainment and more will be stretched along Sheffield Avenue. Take the ‘L’ train to the Red Line Belmont Station and get ready to celebrate the best time of year in Chicago. Time: 12 p.m. - 10 p.m. Location: 3200 N. Sheffield Ave.
Division Street in Chicago’s West Town neighborhood completely transforms during the Do Division Street Fest and Sidewalk Sale. The mega-popular weekend festival has something for everyone, with tent after tent of local artisans, restaurants, local beer tents, food trucks, and more. There are also two stages of live entertainment, a local designer runway show, and a dedicated Family Fun Fest area. Looking for the ultimate Chicago souvenir? 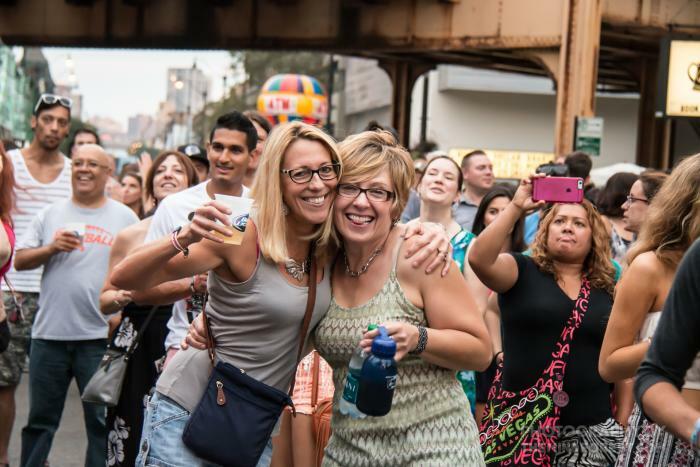 You won’t want to miss the Wells Street Art Festival in Old Town. The fest attracts serious art buyers and not-so-serious browsers alike, with more than 225 artists from across the U.S. You can shop for paintings, woodworking, sculpture jewelry — or just grab a bite from the 20+ food and drink vendors and head to the live music area. 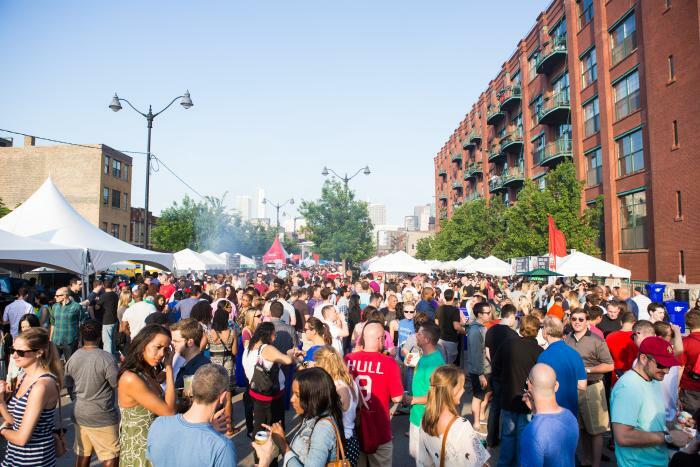 The West Loop is one of Chicago’s hottest dining and drinking destinations, so it should come as no surprise that their neighborhood festival, the Taste of Randolph, will be centered around food. The culinary fest, in its 23rd year, will be showcasing 16 different local restaurants, alongside two stages of live entertainment, a DJ stage and more along the neighborhood&apos;s famed Restaurant Row. 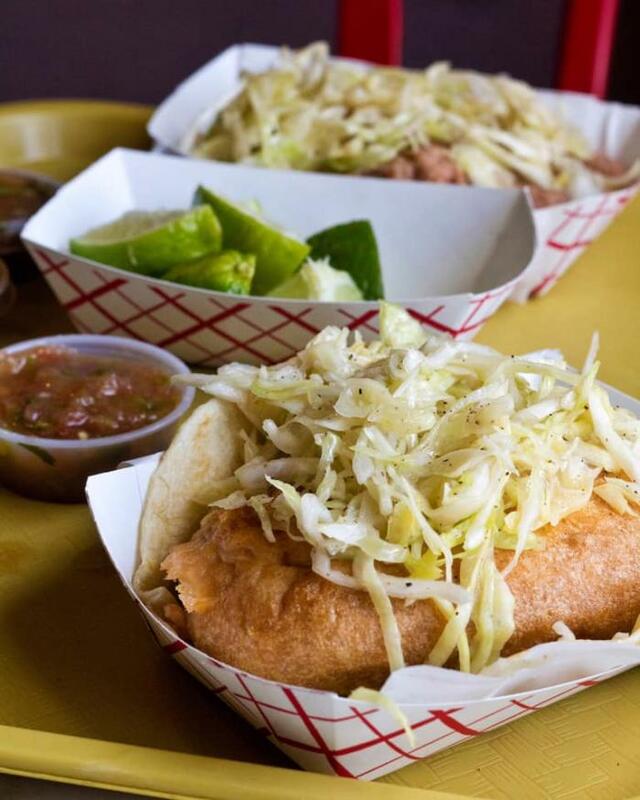 For two days, festival-goers flock to Pilsen to celebrate their shared love of tacos. The lively fest in the heart of Pilsen, a vibrant neighborhood known for its Mexican heritage, features food from authentic local taquerias, cervezas, live music, stand-up comedians, artisans and more. The fest is organized by Inner City Culture, a community-based group that celebrates art, diversity and culture throughout Chicago neighborhoods. Time: 12 – 10 p.m.
Ravenswood’s “Malt Row” — a stretch of Ravenswood Corridor that’s home to a diverse selection of local breweries — has quickly become a destination for craft beer lovers across Chicago. What better way to celebrate than with a neighborhood beer festival? Enter, Ravenswood On Tap. 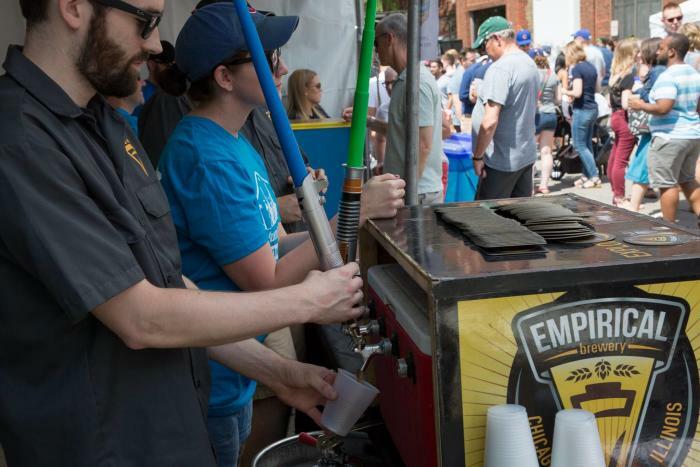 The third annual festival will feature pints from nearby spots like Empirical Brewery, Half Acre, Spiteful Brewing, Dovetail Brewery, and more. It’ll also showcase neighborhood restaurants and food trucks, live music, makers, and artists. 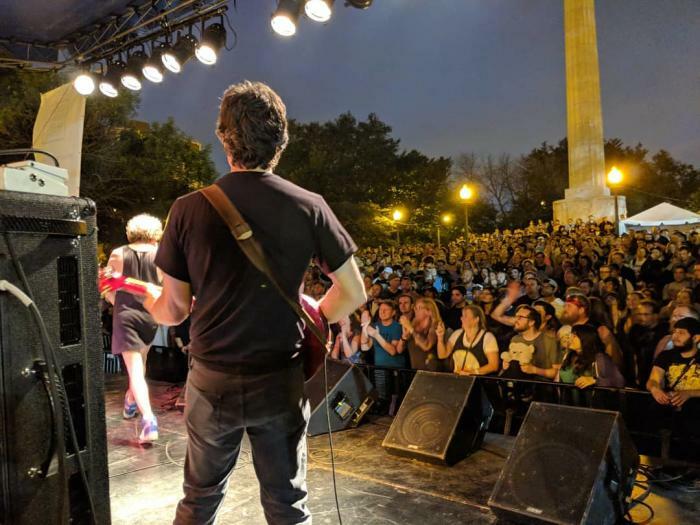 Now in its 11th year, the Logan Square Arts Festival is a full-blown celebration of the vibrant and creative community of Logan Square. 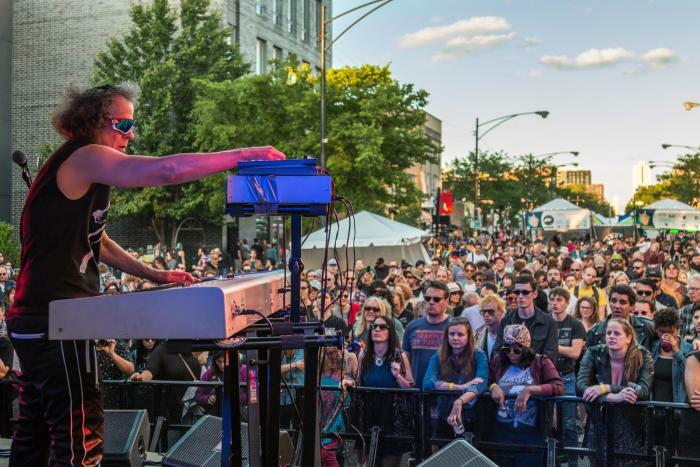 Featuring local food and drink, plus two stages for musical and dance performances, the three-day festival takes place in the heart of Logan surrounding the Illinois Centennial Monument. This year’s festival is particularly special as it coincides with the 100th anniversary of the monument, a focal point for the festival and neighborhood as a whole. Location: 3150 W. Logan Blvd. 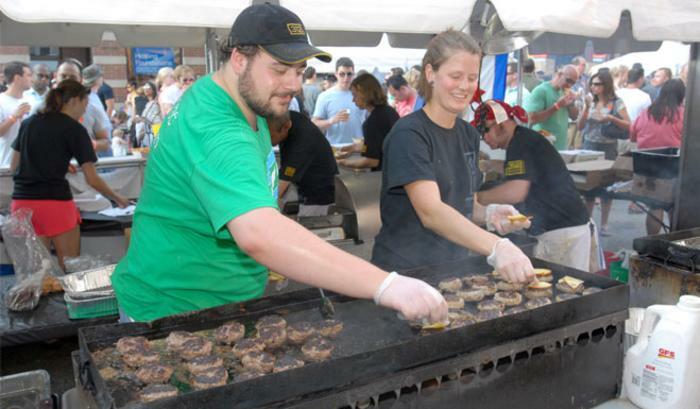 Come hungry for the 13th annual Roscoe Village Burger Fest, one of the tastiest block parties of the summer with two stages of non-stop music and dozens of local restaurants grilling up their best burgers. For the kids, Burger Fest hosts a tent of arts & crafts, rock climbing, miniature golf, and more. Don’t forget to vote for your favorite Burger Fest bite and see which restaurant is dubbed Best Burger. What better way to soak up the best of Chicago’s Chinatown than by celebrating the season at the Chinatown Summer Fair? In its 41st year, the annual festival is a lively summer celebration of Far East culture. 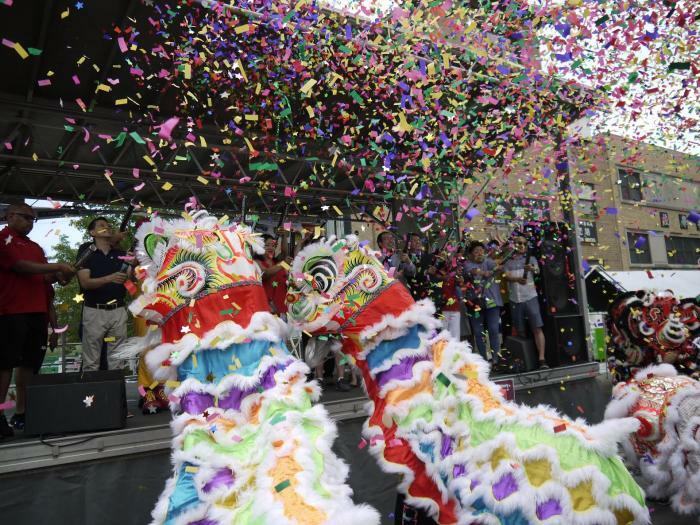 The Sunday festival features plenty of local neighborhood cuisine, kung fu demonstrations, artisan vendors, activities for kids and a festival favorite, the traditional lion dance procession. Location: 2200 S. Wentworth Ave.
One of Chicago’s oldest summer festivals, the Taste of Lincoln takes over the area around Lincoln Avenue each year in Lincoln Park. 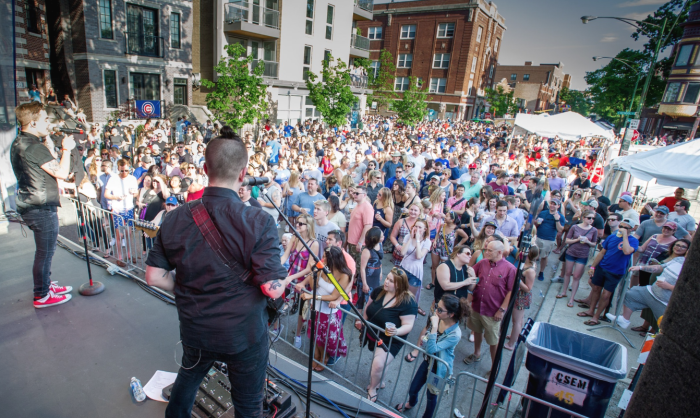 With more than 100 food, drink and artist vendors, two stages of live music, a kids carnival, wine and whiskey tastings, a chocolate fest, and more, there’s no shortage of things to do, see and eat during the Taste of Lincoln. The ninth annual EdgeFest kicks off August with a weekend celebration highlighting the diverse and creative community of Edgewater. 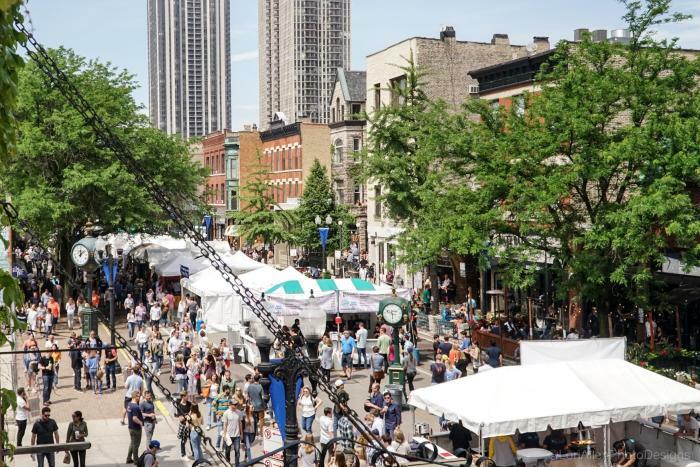 With local food and drink, live musical performances, a pet parade, local vendors and family fun, this intimate fest highlights the best of one of Chicago’s most historic neighborhoods.